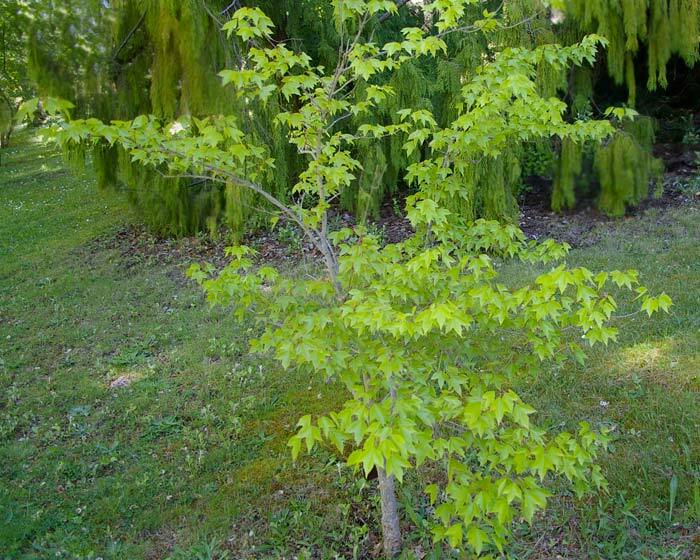 Acer buergeranum or ther Trident Maple is a small, bushy, deciduous tree with a dense conical crown. 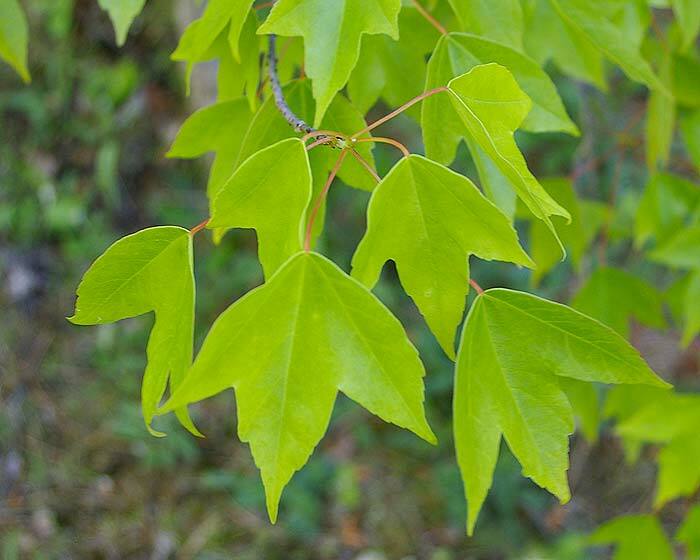 It has a thick single trunk with attractive fissured bark. The foliage is bright green above and blue-green below, turning an often two-toned colour in autumn with red/scarlet patches on a yellow background. Best foliage colour in full sun. Usually colours later than most deciduous trees (late autumn). Maintenance: Train to a single leader but avoid over-pruning, allowing its natural shape to develop. Fertilise in late winter and ensure adequate water in the hotter months to avoid leaf burn. Comments: Traditional and popular bonsai subject.